Life for many people in Newport Beach CA revolves around the harbor. There are thousands of recreational boats docked in Newport Beach CA, and it’s no surprise that segments of the restaurant industry here cater to recreational boaters. There are several “dock and dine” establishments offering water access and boat parking, and scores more restaurants offer views of the sea. Needless to say, seafood is very popular in Newport Beach CA. If you have a seafood restaurant or operate any type of commercial kitchen in Newport Beach CA, you can benefit from the services of Flue Steam. 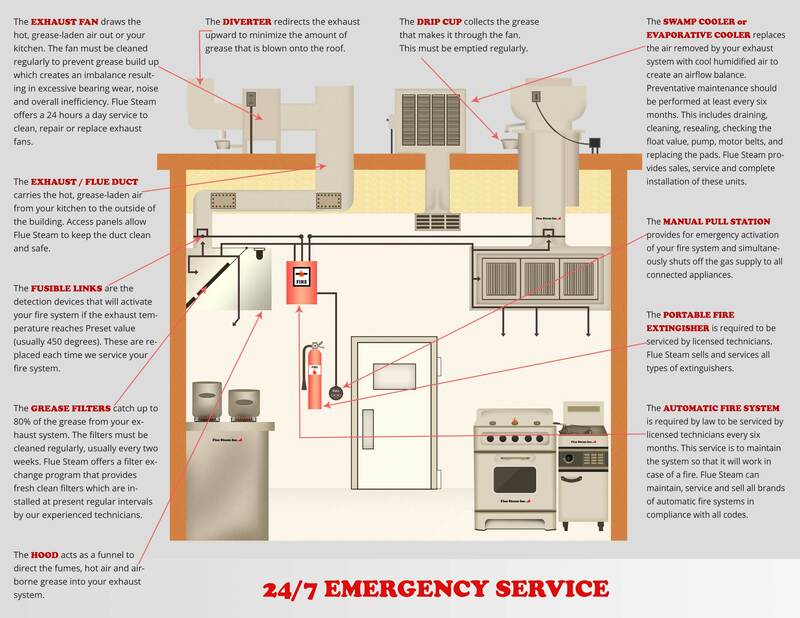 We offer thorough exhaust system cleanings for commercial kitchens, along with other fire prevention services.